“Can I transfer iTunes movies to Amazon Fire TV for playing?” the question is widely and frequently troubled digital device users. Here you come to the right place. This post will give you more information about Amazon Fire TV and then provide you with effective solution to help to transfer iTunes movies to Amazon Fire TV. Part 2: Can we play iTunes movies on Amazon Fire TV? Part 3: Remove DRM from iTunes movies for playing on Amazon Fire TV. Amazon Fire TV, came to be known as its convenience for users to watching purchased movies, like Netflix, Hulu, Amazon instant video, etc. It is becoming more and more popular. Amazon Fire TV is a tiny digital media player box for streaming massive online channels, including over 200,000 TV episodes and movies, millions of songs, and hundreds of games to your HDTV. It is the best choice to watch Amazon Instant video prime, HULU, Netflix on the HDTV with big screen. With its fast quad-core processor, 2 GB of memory, dedicated GPU, plus 1080p HD video and Dolby Digital Plus surround sound, Amazon Fire TV becomes a primary choice for people who want to buy a media player for replacement of Apple TV. “Can we play iTunes movies on Amazon Fire TV?” The answer is “yes” as long as you use a right way. Amazon Fire TV is very easy to set up. After you get the Amazon Fire TV, you will find it is easy to play purchased movies like Amazon instant video, Netflix movies. However, the movies from iTunes are not compatible with Amazon Fire TV, the iTunes movies not supported by Amazon Fire TV. Why iTunes movies and TV shows can’t be played on Amazon Fire TV directly? Firstly, iTunes movies are all DRM protected, they cannot be played on unauthorized devices; secondly, Amazon Fire TV doesn’t support iTunes movie streaming directly; it only supported limited websites videos, such as Netflix, Huluplus, etc. But if users want to the iTunes store movies with Amazon Fire TV, how to make the files played in it? Converting iTunes movies to the formats that have a good compatibility of Amazon Fire TV is the best option for most users. Leawo Tunescopy, a third-party software that enables iTunes movies to play on Amazon Fire TV. It has been specializing in removing DRM from both iTunes purchases and rentals and converting them to ordinary video and audio formats like MP4, AVI, MP3, etc., and convert iTunes movies to compatible format for Amazon Fire TV, Leawo Tunescopy is not only the fastest DRM Remover for iTunes videos, also professional iTunes DRM removal program. It can remove DRM from iTunes purchased and rented M4V videos and convert them to DRM-free mp4 format at 50X faster speed. The aim Leawo Tunescopy is to become the best DRM removal software and provide the best experience in removing DRM and enjoying drm-free videos for users, and providing users lossless videos after conversion, adding the feature of keeping all subtitles and audio tracks. When the process is completed, upload the movies onto your Amazon Cloud Drive, and then you can play iTunes movies with Amazon Fire TV. Usually, users will be recommended to choose MP4 format, because it is well supported by Amazon Fire TV and other playable devices. Let us see in the below to learn how to remove DRM from iTunes videos and convert them to mp4 format. Step 1. Download and install according to your Operating System. Clicking the links to download Leawo Tunescopy firstly. This software will convert common videos and DRM protected videos to any formats you need. Step 2. Import your iTunes movies into this software. Entering homepage of Tunescopy, click “Add Files” button in the middle of program interface to select the files that you want to play, or adding the iTunes m4v files by dragging and dropping them into the program. Please note that add at least one files to the program, add all file at one time is feasible to operate. Step 3. Set output directory. Before starting converting, choose output formats as the location of converted files. Click “…” button at the bottom of “Home” interface to set output directory for save your outputting mp4 files. Remember the location of output files is highly recommend, which enables users to convert m4v filer with faster speed. Step 4. Finish removing DRM from m4v and convert the files to mp4. Start transferring iTunes video to MP4, click “Convert” button to remove DRM and transfer iTunes files to MP4 format. Wait for a while until the conversion is complete. When the iTunes movies are converted, open the output folder and get the files, and then you can upload files to Amazon Cloud Drive for Amazon Fire TV, or transfer to kindle fire HDX for mirroring on HDTV via Amazon Fire TV. 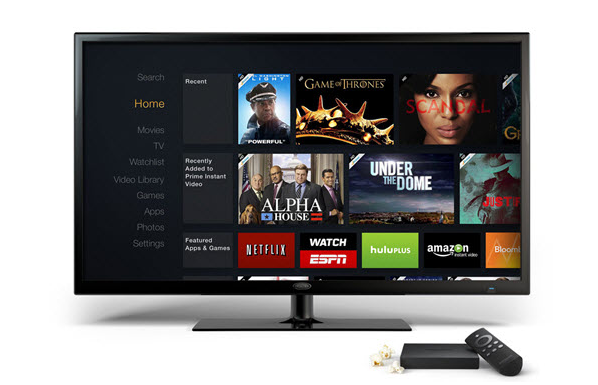 Amazon Fire TV works as a media-steaming device, it can also stream all contents stored on Amazon tablets. Leawo Tunescopy can make the process of converting iTunes movies on Amazon Fire TV more easily, so you can transfer the video to Amazon Fire TV with Leawo Tunescopy now. Want to convert favorite clips? 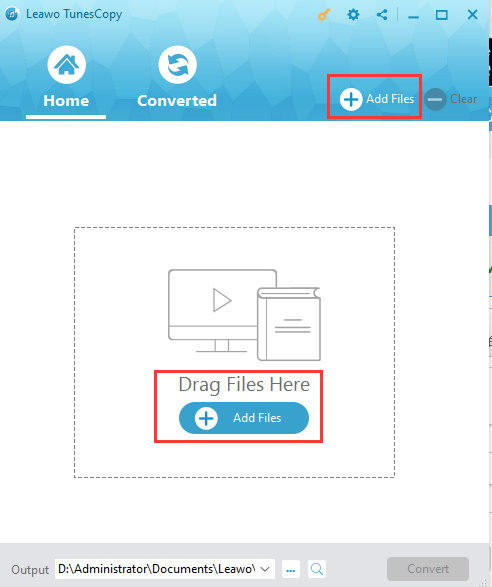 Want to transfer any format to your desired device? The trimming function of Leawo Tunescopy will help you get the clips you want. Just try it now!